In general, the government has plenty to answer for to its citizens but sometimes it manages to do something right. One of those things is the Consumer Financial Protection Bureau (CFPB), which is charged with riding to the rescue when you’ve been wronged by a financial institution, especially in the area of loans, debt collection, mortgages, and more. Though the CFPB is there for your use, be careful when evaluating a potential claim. If you feel that a financial institution has committed an illegal act, abuse, or not responded to your direct complaints, consider filing a complaint. First, contact the institution directly and allow them to address your complaint. 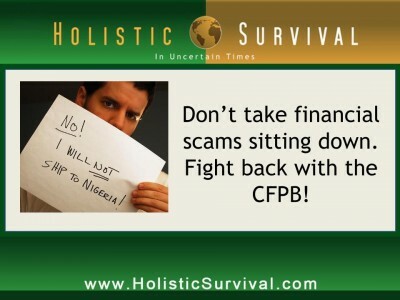 Speak to someone in authority before you contact the CFPB if at all possible. Aside from protection of your own consumer rights, filing a complaint helps others to avoid the same situations you’ve found yourself in. It also allows better governing of financial institutions for the future. Think of it as a way to better monitor those monitoring your money. When you’ve decided you have a case worth filing a complaint over, access the CFPB website (www.consumerfinance.gov) and fill it out online. You may also use email, phone, fax, or mail. By submitting a short description of the problem and a few details, you’ll begin the process. Next, you’ll be asked to identify what you would like the solution to be. Finally, you’ll put in your name, address, email address, account, and name of company against whom you’re filing a complaint. Lastly, you’ll review your information and submit your complaint. The CFPB will forward your complaint and try to get the company to respond. Complaints are forwarded to other agencies as needed. Should the CFPB receive a response, they’ll let you know and you’ll review it and either accept or dispute it. Throughout the process, you can review your complaint and anything happening with it on the website. If you need to file on behalf of someone else, you may also do that.